ONI Bureau:After Bhubaneswar and Cuttack, it was the turn of Delhi to host #Heijau Tea gathering at Markandeya Bhavan near Chattarpur Temple on Sunday. 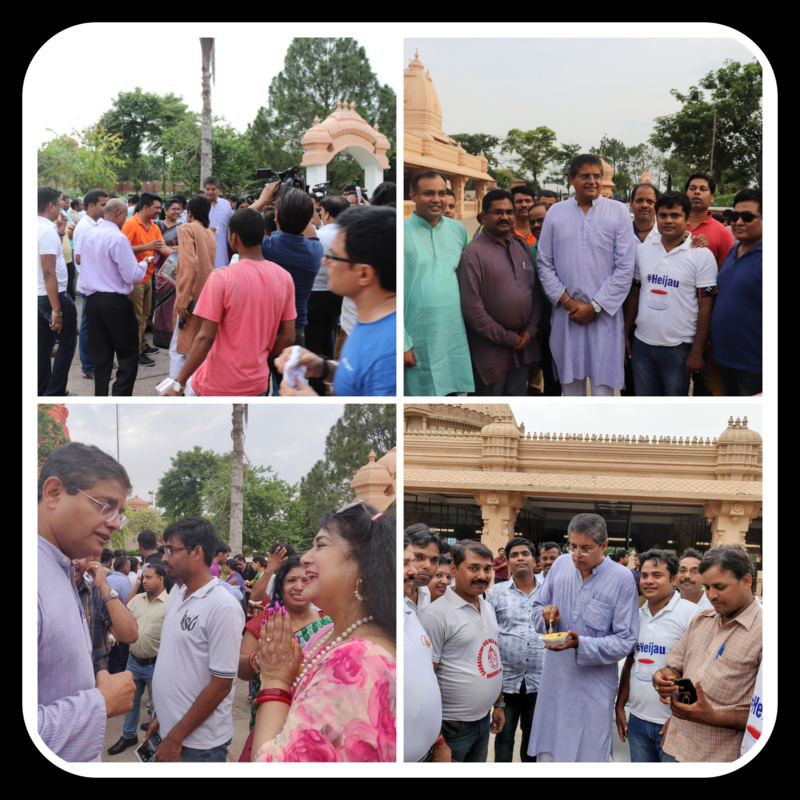 Around 1000 people from Delhi/NCR, mostly Odias along with some local residents who wanted to get a glimpse of the tall leader, thronged the venue between 5 PM and 6 PM. 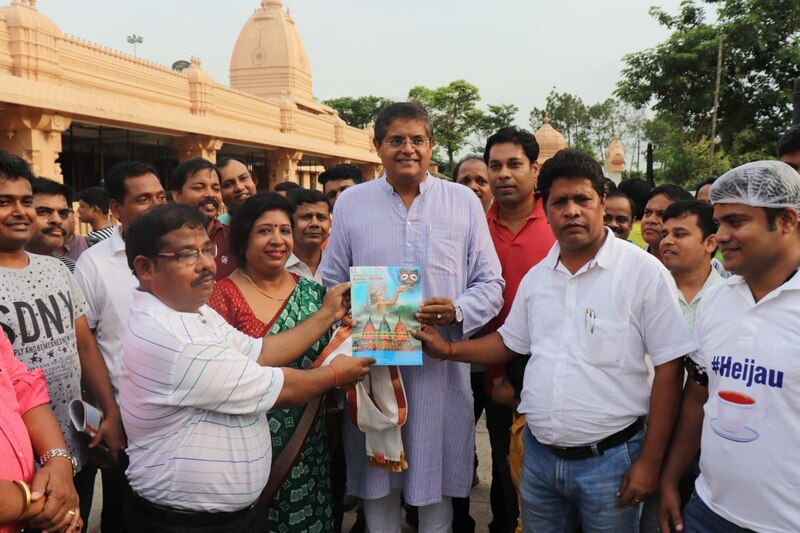 Several Odia organisations and associations as well as women and youth greeted Baijayant ‘Jay’ Panda and extended their support to him. They also felicitated him with scarfs and mementos. Some enthusiastic people shouted slogans in his support and urged him to take a right decision in Odisha’s interest. Many Odias present at the venue said they would continue to support Baijayant Panda irrespective of his political affiliation. The Delhi edition of #Heijau had an Odia delicacy Dahibara Aludam (Cuttack Style) along with regular Tea. Many people also clicked selfie with him and got a chance to hold discussions on various issues. The event lasted for over an hour and people were seen coming to the venue even after it ended.